Michael Braungart is a chemist and founder of EPEA International Umweltforschung GmbH in Hamburg, Germany, and co-founder of MBDC. Dr. Braungart’s work has been published in numerous journals on science, public affairs, design and environment in Europe and the US. Dr. Braungart currently is a professor of Process Engineering at Universität Lüneburg (Germany). Recently, he accepted a visiting professorship at the Darden School of Business, lecturing on such topics as eco-efficiency and eco-effectiveness, Cradle to Cradle® design and Intelligent Materials Pooling. Dr. Braungart also serves as Scientific Manager of the Hamburg Environmental Institute, the nonprofit research center which produces the “Top 50 Study”: an evaluation of the environmental performance of the world’s largest chemical companies. Dr. Braungart’s work addresses topics from particles to policy. He has initiated worldwide scholarly and scientific inquiry into the adverse environmental and physiological impacts of industrially-produced consumer goods. Dr. Braungart currently concentrates his efforts at MBDC and EPEA by working with innovative companies on issues of materials assessment, waste and energy balances, life cycle design, design for disassembly, and new product design. 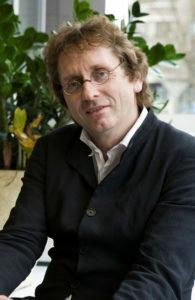 Please visit www.braungart.com for a complete bio and more information.